Detail Masters recently completed restoration of over 1000 vehicles in Texas. After an oil line leaked at a local refinery, orange overspray affected thousands of vehicles in a local neighborhood. The oil contaminates proved difficult to remove for most local car washes and detailing shops. That is because oil contaminates tend to bind vehicle surfaces including clear coat, windows, trim elements and wheels, and traditional products don’t have the necessary formulas needed for removal. 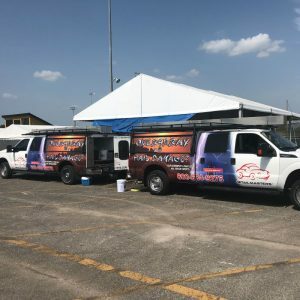 Detail Masters offered a unique service for the refinery claim managers in that they provided a large mobile crew, onsite claim management, and the expert knowledge needed for proper vehicle restoration. 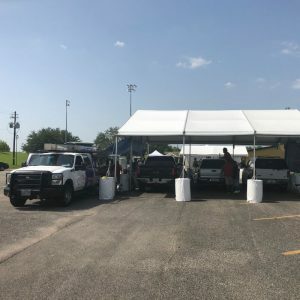 Within a few days of being called to the site Detail Masters was on the ground with a 30 man crew quickly restoring local resident’s vehicles. The overspray incident presented a difficult environmental dilemma because there was concern that the cleaning process would contaminate the local groundwater. Detail Masters was able to find the necessary treatments and solutions needed for restoration without the use of any water. Utilizing a water-free cleaning process Detail Masters was able to prevent further environmental contamination and save the local city hundreds of thousands of gallons of tap water. Detail Masters service received positive feedback from the local residents and claim managers. Through patented technology, fast service, and advanced claim management, Detail Masters was able to help save the local reputation of the refinery and its affiliated companies. Detail Masters receptionist ready to dispatch crew. Detail Masters’ reputation for quality overspray removal goes far beyond Boerne, Texas where it’s headquartered. 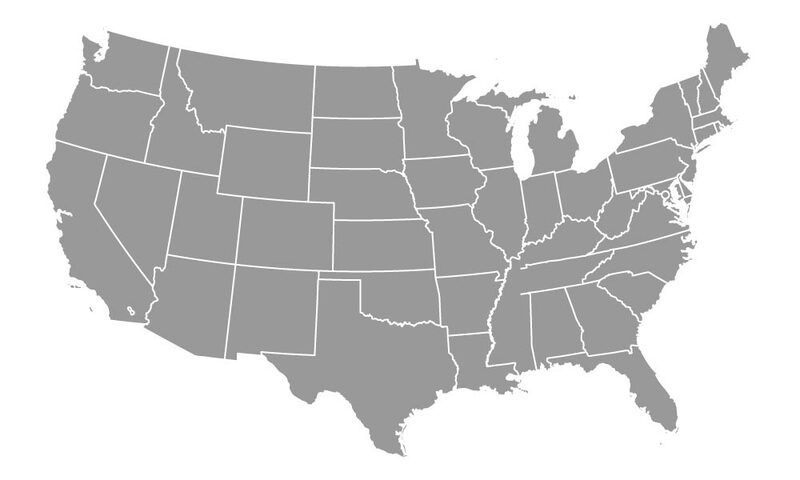 In fact Detail Masters has worked on overspray claims large and small in all 50 states. The key to the versatility of Detail Masters is it’s dedicated mobile expert crew. Usually a crew is dispatched within hours of receiving a new claim. These crew members are stationed across the country and are ready with supplies and resources. 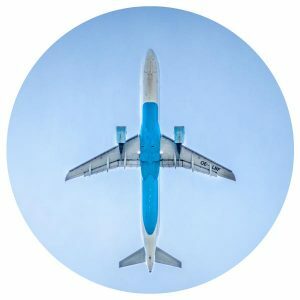 Additional team members then fly or drive (depending on their distance from the job) until the necessary crew is on the ground to complete the job. Detail Masters team members usually can be on a job site within 24 hours anywhere in the country. Detail Masters employees are overspray experts. The average Detail Masters’ employee spends half their year on the ground working on overspray claims. Because their work is dedicated solely to Overspray their knowledge base goes far beyond the staff at a local detail shop. They have seen every type of overspray, in every state and nearly every size claim. Detail masters has been saving painting contractors and their claimants money through innovative overspray removal techniques for over 50 years. A contractor in New Orleans spraying a steel structure near the airport decided to work on the weekend, hoping to minimize traffic around the jobsite. What he didn’t consider was that the block behind the structure housed three car rental agencies and four used-car lots. Wind coming out of the south blew the overspray across a four-block area, covering 875 cars with epoxy primer in a lovely shade of gray. When a bridge spanning Oregon’s Columbia River Gorge received a fresh protective coating, so did the entire city of Astoria on the eastern end of the bridge. Cars, buildings, and even 60-foot yachts were nailed by coating droplets and sand-blasting particulates. When environmental officials discovered that lead paint had also fallen into the river during surface prep, liability claims against the painting contractor soared into the tens of millions of dollars. High-school football games are big entertainment in West Texas, and half the townspeople turn out on a Friday night to cheer on their home team. It’s bad enough to lose when you’re a visiting team, but even worse when 400 cars in the visitor lot are oversprayed with epoxy and urethane in the home school’s colors. What began as a normal coating of the school’s water tower ended up in a mud-slinging mess between the towns’ mayors and rivaling citizens, played out in local newspapers. A contractor used brushes and rollers to repaint a Chevy dealership near Indianapolis, but decided at the last minute to spray epoxy on one small area, inside a service department work bay. When workers lifted the bay door a few inches to vent the fumes, it created a wind tunnel, blowing epoxy through the dealership’s lot of 350 new and used cars. As a coatings contractor, you can learn a lot from overspray removal specialists and insurance adjusters who see overspray scenarios every day. If and when you experience an overspray problem, their advice can greatly minimize your aggravation. It may even help you prevent many overspray cliams from happening in the first place. Aside from actual removal, public relations is perhaps the most valuable service supplied by overspray removal companies. Few contractors are equipped to bear the burden of contacting and dealing with all the individual owners, most of whom are unhappy about the condition of their cars and the inconvenience of getting them repaired. Experts know how to keep the hysteria and hassle to a minimum. 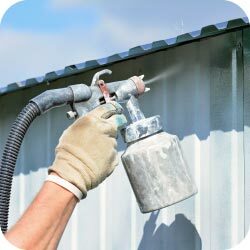 Liability for overspray almost always falls on the shoulders of the contractor, despite the fact that a job’s price did not allow for adequate containment. “It happens on numerous jobs, and you can’t completely get around it, other than by fully containing a tank, which is not a cost that most people can deal with,” notes Patrick Healtsley, vice president of Pittsburgh Tank and Tower of Sebree, Kentucky, a contractor who’s dealt with his share of overspray problems. Containment on windy, elevated structures such as tanks, towers, and bridges can more than double the cost of a job, usually making it prohibitive, he adds. Detail Masters Offers Over 50 Years Of Professional Overspray Removal Service. For over 50 years Detail Maters has been successfully removing overspray from vehicles with unparalleled customer service. Our process is simple, fast, efficient and remarkably scalable. We work on claims from 1 car to thousands. Our success can be attributed to 5 important things. Rapid Response – Detail masters is usually able to get to your job site within 24 hours for an initial assessment. We usually remove the paint from one car first to analyze the paint consistency and the difficulty of removal. From there we will create a quote and instruct our crew on the necessary methods for removal at the specific job site. Highly Trained Crew – The average experience of our crew is 10+ years. We form life long partnerships with our employees to insure the success of each job. These expert crew members have seen every type of paint on every type of car. No job is to difficult or too complicated for them to handle. 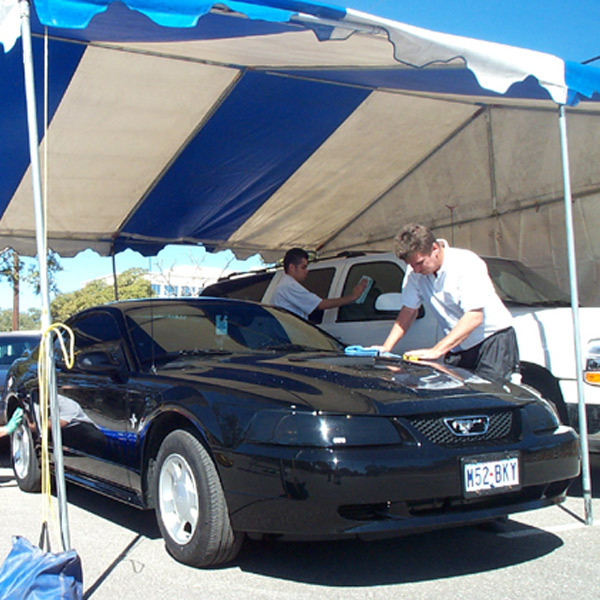 Onsite Claim Management – Detail Masters handles overspray claims entirely on site. This includes all the paperwork and scheduling. From start to finish our clients don’t have to worry about a thing. Innovative Techniques – Not only is our crew the most experienced in the industry but they are innovators as well. Our methods come from crew feedback and testing. 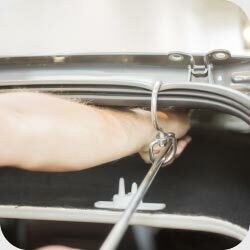 We have our own removal solutions, treatments and methods unique to Detail Masters, many of which we invented. Unparalleled Customer Service – Detail Masters focuses on customer satisfaction. “Detail” is in our name because we focus on every single square inch of vehicle paint to make sure the car is overspray free and we don’t stop cleaning until our clients are 100% satisfied. To learn more about Detail Masters legendary overspray removal service click here. Detail Masters is routinely saving contractors and insurance companies thousands of dollars by repairing moldings that the other overspray companies refuse or do not know how to repair. Recently, a contractor hired a “low priced” overspray company. This contractor ended up with a higher price than quoted and most of the vehicle owners filing claims for molding replacements. The cost of these additional repairs averaged $3,500.00 per vehicle. Unlike “Overspray Companies” cleaning methods that typically damage the moldings, our process only removes the overspray with incredible results. Detail Masters was able to inspect and repair all the vehicles damaged and save this contractor over $ 100,000.00 in additional claims. After a hail storm cars can be covered in dents from hail strikes. Depending on the severity of the storm dents can be the size of nickels to the size of golf balls, and in some cases even the size of oranges. Traditionally to fix a damaged vehicle, its individual panels would have to be stripped, dents smoothed and paint reapplied. This would come with a significant cost, particularly if more than one panel was affected by hail damage. Repainting jeopardizes the value of a vehicle and leaves the coat more susceptible to rust, fading, chipping and pealing. This has to do with the way paint is applied in factories vs. local body shops. 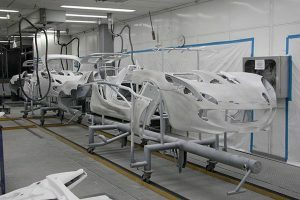 In a factory paint is applied at the beginning of vehicle assembly. Paint is applied to the frame and panels before anything else is added. This allows for painters to coat the entire panel and frame inside and out. It also insures that one even color is applied. Only in a factory is paint applied to the entire frame at once. Once painting is completed the factory then “bakes” the paint to the car at extremely high temperatures. This guarantees the paint’s longevity. Auto body shops don’t usually have the resources to “bake” paint onto a vehicle and can’t usually strip a vehicle down to it’s frame. They generally only apply paint to the exterior portions of panels and frames by tapping and masking the rest of the vehicle. Paint is usually dried at room temperature. Overall the coat is weaker, particularly along its edges. Re-Painted surfaces are also usually more uneven and rough than factory painted ones. This is because the factory panels are brand new when paint is applied. Matching the overall smoothness of factory panels requires panels to be perfectly clean (dust and debri free) and buffed extensively. Few body shops, if any, can match factory smoothness. Lastly, Auto-body shops don’t have access to the exact paint that was used on a vehicle originally. Even if the shop takes the time to get the paint information from the factory to match a specific factory color, paint varies greatly by batch so matching colors exactly is impossible (even at a factory paint colors vary from batch to batch). This means that more than likely the re-painted panel will likely be a slightly different color then the original coat. Paint-less Dent Repair insures the original body paint remains untouched. Dents are “pushed” or “pulled” using a variety of innovative techniques and instruments. This preserves the body paint and dramatically reduces the cost of hail claims repairs. For more on PDR cost saving see the chart below. Note actual cost will vary depending on location, claim size and vehicle type.